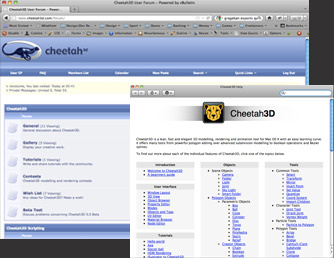 Cheetah3D is designed with users in mind, from the interface to the functionality and training. Built in the software is searchable help documentation of all the main features and tools. 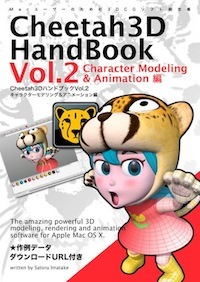 Additional online video tutorials can also be accessed through the help included in Cheetah3D. A vibrant online community of Cheetah3D users has developed through the online forums, providing help and guidance. Understanding 3D graphics is fast becoming the key skill for the 21st century. 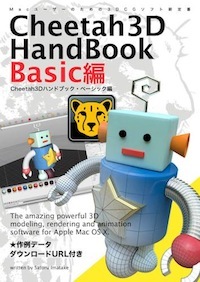 Whether you're casually interested in learning to create 3D graphics on a Mac OS X, or a graphics professional looking to expand your skill set, this book will help you learn 3D concepts and how to use the easiest-to-use complete 3D package on the Macintosh. 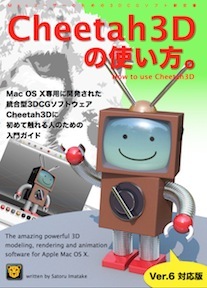 Satoru Imatake wrote two wonderful Japanese ebooks introducing you into the world of Cheetah3D. They guide you through many 3D technics from modeling, rendering to character animation. 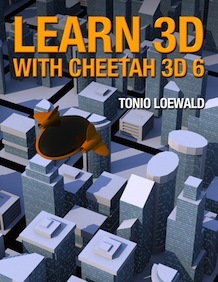 A great resource for learning Cheetah3D. 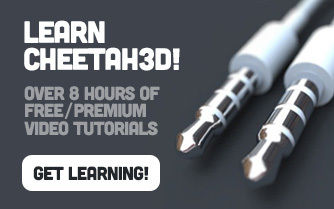 Over 8 hours of free and premium high quality video tutorials - covering everything from getting started with Cheetah3D to character rigging, realistic rendering and a lot more.